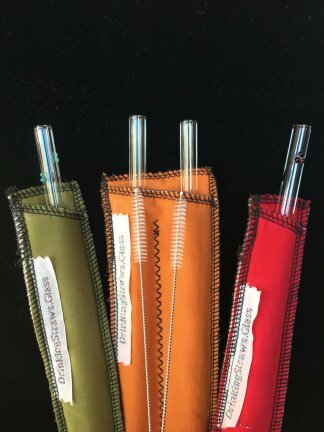 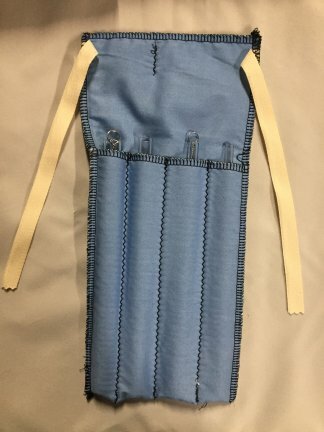 Looking for an alternative to plastic straws? 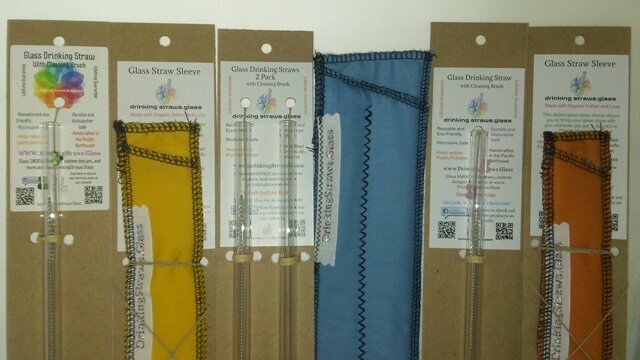 Our Glass Straw Family Pack is just that and it allows you to take your glass straw on the go. 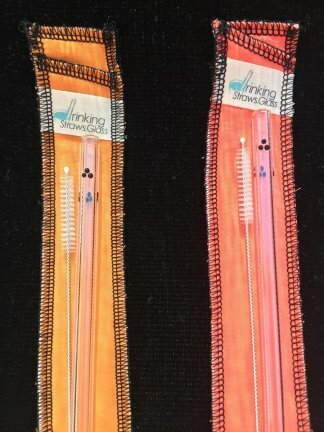 Our carrying cases provide protection for your glass straws and you can put them in your purse or bag. 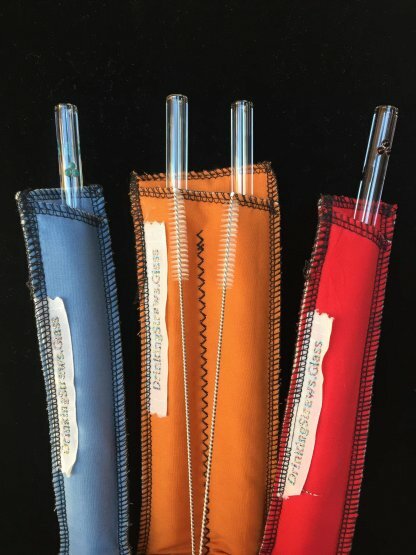 This family pack includes 1 Double Straw Sleeve, 2 Single Straw Sleeves, 2 pk of Essential Taste 9.5mm 8 inch Glass Straws and 2 Dots straight 9.5mm 8 inch Glass Straws. 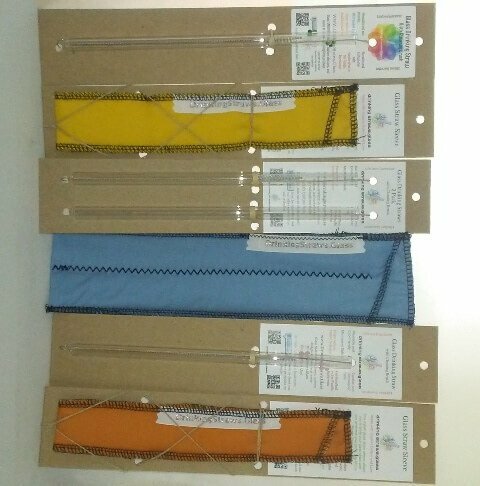 Our Carrying Cases are made with Organic Cotton and Natural Batting. Our glass straws are easy to clean and cleaning brushes are included. 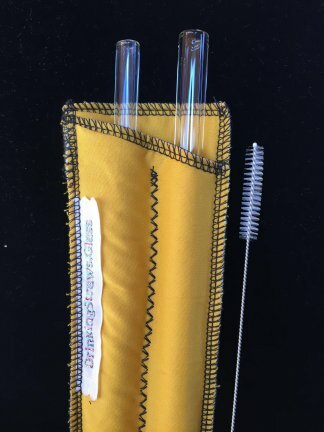 🙂 These glass straws are extremely durable and dishwasher safe. 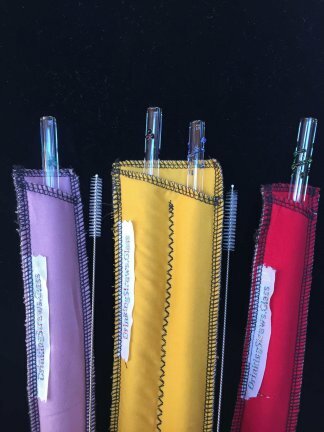 Use them for Hot or Cold beverages. 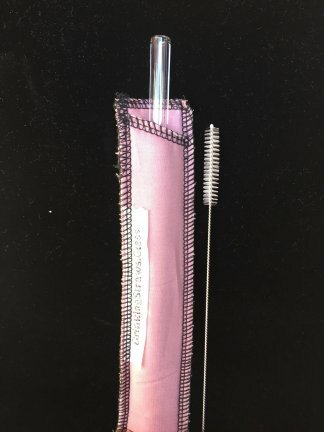 This Family Pack allows a family to refuse single use plastics. 500 Million plastic straws are being used daily and if we don’t do something now in 2050 there will be more plastic in the ocean than fish! Be the Change! Refuse plastic straws whenever you go out by bringing your own, our Carrying Cases make it easy to bring them along.